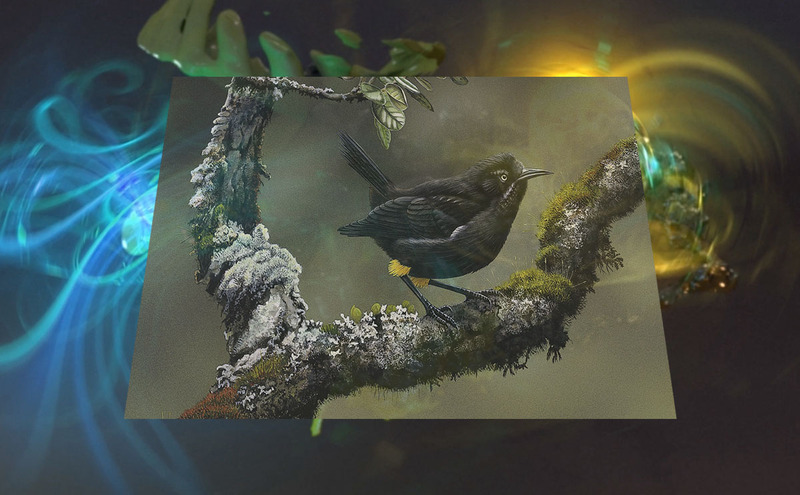 Kauai, Hawaii –– In 2015, Danish environmental artist Jakob Kudsk Steensen became obsessed with a bird that no longer exists. 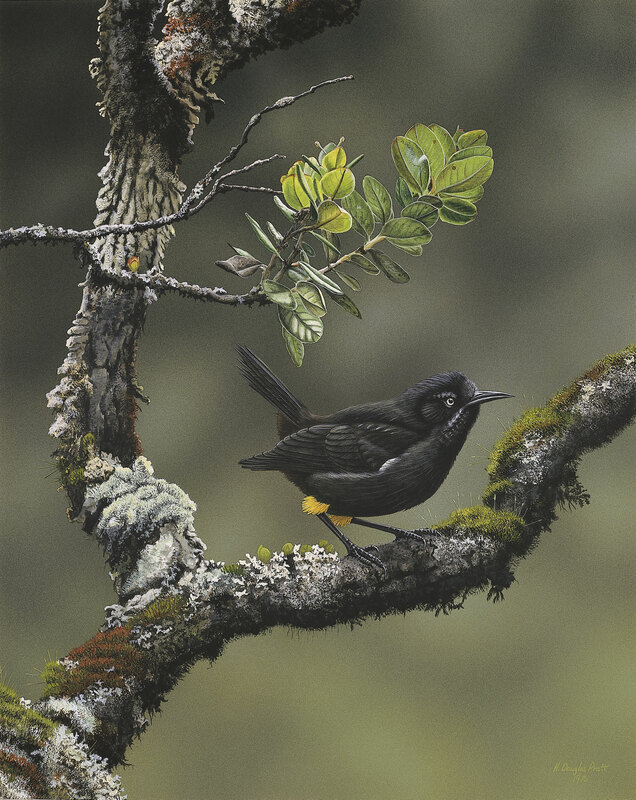 The Kaua'i 'o'o, a now-extinct species of small honeyeater, was last seen in Hawaii in 1987. According to a recent study in Science Advances, ornithologists have observed population declines in almost all of the Kauai Island's honeycreeper species, a famously diverse family of forest birds that have long-faced environmental destruction, the introduction of non-native species and slaughter of the native plantlife on their island. Scientists also say multiple more extinctions are likely in the coming decades. However, Steensen believes he and other ecologically-minded artists can one day bring long-lost species like the small Kaua'i 'o'o back from the dead, using a combination of technology, digital archiving tools and a whole lot of artistic imagination. Below is an essay on Steensen's current project on re-animation related to the Kaua'i 'o'o. Think of it as an introduction to the emerging world of online ecology. The year I was born, a bird became extinct. In 1987, in the swampy forests of Hawaii's Alaka'i Plateau, the last living Kaua'i 'o'o bird moved its vocal organ, reshaping and pushing air out of its open beak, evoking a series of powerful and rhythmic sound waves heard miles away. As the song travelled through the moist, misty air, bouncing off tropical bushes and short, dense trees, an American ornithologist named H. Douglas Pratt captured its reverberant waves on his microphone, creating a duplicate of the now extinct bird's song. The call was later stored at Cornell University's department of ornithology, where it was digitized and made available for infinite replication. "it sounds very lonely and mournful like it knows it's the last of its kind. It's scary to imagine being the last one of your kind alive trying to find another person before you die," writes YouTube user "fire heart." "This is the kind of thing that gives me a feeling of existential horror," writes Jasper Barnes. "This is basically the animal equivalent of the final human left screaming to God, asking why he put him through this much misery," writes William Overbeck. The Kaua'i 'o'o's mating song now echoes like a ghost across the internet's landscape. It piqued my artist's curiosity when I first heard it three years ago. To me, the story of the Kaua'i 'o'o is one of a new form of digital preservation. 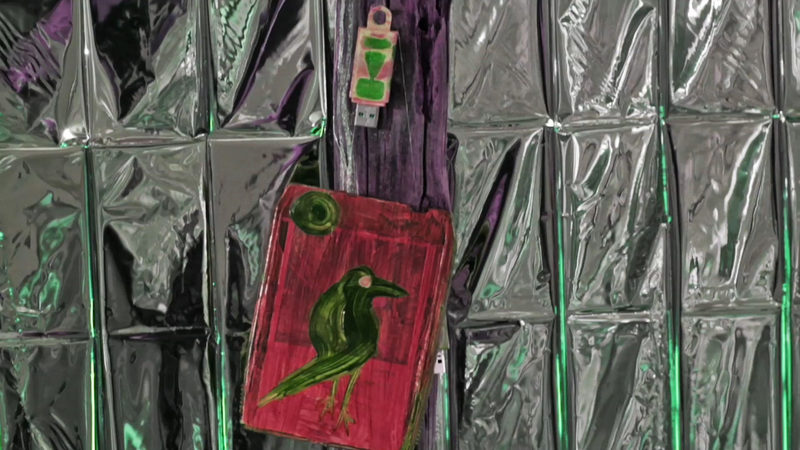 Through archives and digital technologies, the bird has been reanimated from extinction as a newly created species –– one defined by its original vocal evocation, remixed by humans and partially composed of new bits of digital data. How we take the animal's role into consideration may one day influence imaginations of future landscapes, as well as how we perceive organic realities and construct landscapes around us. (2017) by Andy Thomas, commissioned by Jakob Kudsk Steensen. This spring, I reached out to H. Douglas Pratt, the ornithologist who is among one of the last living humans to witness the swan song of the Kaua'i 'o'o during his decades researching the birds of Hawaii's Alaka'i plateau. I wanted to hear and preserve Pratt's first-hand memories of the bird and its former landscape, and discuss what his recording means now that the Kaua'i 'o'o is extinct. Pratt and his colleagues first published a text on the Kaua'i 'o'o nearly three decades after their initial 1960 expedition to the island, before any birds were considered endangered there. As he'd later tell me, the 1998 report became a sort of posthumous publication about extinction –– the culmination of a series of manmade and ecological events that occurred between the 19th and late 20th centuries. Human history, mosquitoes, plants, birds and diseases all intertwine in the story of the Kaua'i 'o'o. I spoke with Pratt for a few hours over the phone one rainy evening, conversing over long distances like bird calls heard for miles at the Alaka'i plateau. The idea was to preserve a digital copy of our conversation, just as the Kauaio'o's call has been stored as an MP3. Can you describe the memories you have of your encounter with the Kaua'i 'o'o during your expedition to the Alaka'i swamp? The 'o'o had a very loud whistling call. It almost sounded like a human whistling. [It would] slurp up and you could hear it from probably a half a mile or so. All you had to do was follow the sound, and you would eventually come to see the bird sitting up on a perch high above the forest. None of these birds were ground dwellers, a peculiarity of the modern Hawaii birds, as most things live on the ground. That is partially because there are predators on the ground now that were not there originally. Now, the ground-dweller birds are gone. Once we got up at dawn and fixed a little breakfast at camp, out of the corner of my eye I saw a little movement. I looked over and, 'Oh, what is this?' It was the Kaua'i 'o'o! It had come into the camp, and I think it was checking us out. We did not know it at the time, but that was the only time that entire week the bird came down into the lower forest. We eventually found its nest site, but it was not nesting at the time - it was out of season. You know, I thought that was interesting behavior. It came to us, instead of us coming to him. Its territory was quite far from camp. I think he was curious to see what we were up to. It is a form of anthropomorphism to apply human characteristics onto animals, which is something you have to be very careful doing. But I think we can say that it was curious. Since studying the Kaua'i 'o'o myself, I have come to think about how field research by biologists and ornithologists both personally and physically merge with their subjects through actions, writings, and preservation efforts. Terratic Animism (2015-2016) by Jakob Kudsk Steensen. Douglas is also an avid natural illustrator and has been fascinated with animating the birds of Alaka'i since that trip nearly six decades ago. He follows the tradition of one of America's great ornithologists, John James Audubon, one of the first to imbue scientific illustrations with his own strong, personal interpretations. Audubon's style of observation was later frowned upon by scientific communities, but to me, the illustrations corporally and culturally relate to the scientific material with urgency. To me, the more animistic, visceral and intuitive the representation of an important subject matter is, the more widely its message is able to resonate with impact. You are also an avid painter. Can you talk a little about your paintings and how they relate to your work as an ornithologist? At first [painting] was just a hobby, but I later realized people were interested in my bird illustrations and that they could sell, so I made a living of it for a number of years. I work from memory, rather than from observation, in the sense that I know the form and feeling of experiencing the bird. But I also use photographs and specimens from the natural history museums I have connections to, when painting the birds. It is almost like a mummy lying there — there is no life. The memory and the photographs are what help you put life back into those feathers." With all the emotions, experiences and memories you have of the bird, does it make you feel anything when you think about them as memories? For me, I will never be able to create a photograph of or experience these animals. I can only see them through your stories and pictures. Yes, you know, I understand much more the influence of [having collected those] memories back then. The birds were rare when we observed them, but we had no idea that they would become extinct. It is amazing to me that so many species, five birds in that family of birds alone, are now gone. At the time, I just thought, "Well, they survived into the modern area, so they will survive in the future." Then they didn't. Painting the bird back in its original habitat is my way of bringing it back to life. You hope that someone today can at least get a little bit of a feeling of what it was like to experience the bird when it was alive. Several species of birds from the Alaka'i plateau where the Kaua'i 'o'o lived became extinct because of a hurricane that swept across the landscape during the 1990s, and because of mosquitos carrying malaria. The birds could not take cover in the mountain valleys because they were infected with mosquitos. Events unfold themselves across centuries in random, unpredictable ways. Past actions and organic occurrences become foundations for the physical realities we experience today. We live in a current condition where things that had happened hundreds of years ago are passed on and inherited as global extinctions, crises, and ecological catastrophes. Kaua'i 'O'o (1975) by H. Douglas Pratt. As I was researching the Kaua'i 'o'o for this story, curator Toke Lykkeberg (with whom I am working for an exhibition) directed me toward a 2004 presentation titled "Between Immortality and Armageddon: Living in a High Opportunity, High Risk Society," given by one of the most widely known British sociologists, professor Lord Anthony Giddens. 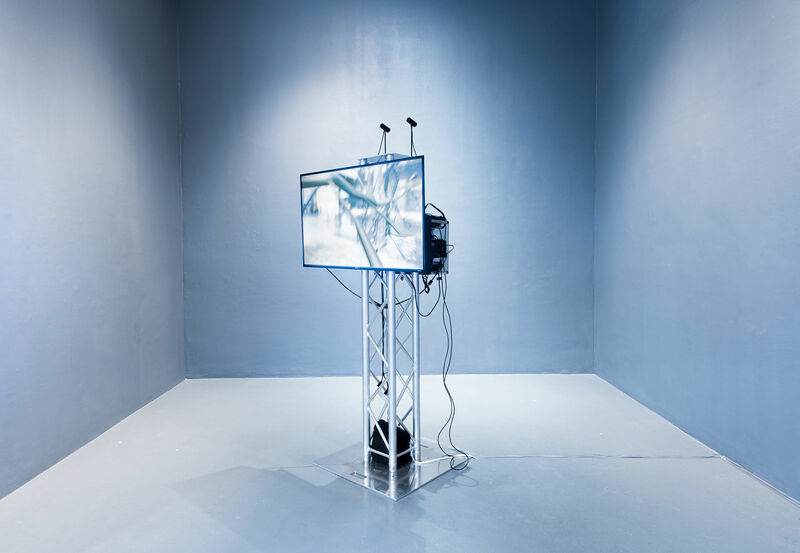 In the presentation, Giddens claims we exist in a border landscape between the glooming abyss of total extinction and the promise of an ephemeral form of immortality shaped by our own technology. He also argues that we must accept the fact that that we live in a "high-risk society," where social, technological and climate realities are totally unprecedented. Why is Giddens' presentation interesting to you as a curator? I think that Anthony Giddens' idea that mankind is at the crossroads of Armageddon and Immortality, between all out death and eternal life, is a succinct summary of where we're at today. At accelerating speed, we're reaping the benefits of so-called progress while suffering from its by-products. It's a sign of a significant shift when a pragmatic, textbook sociologist committed to real-world politics gets engaged in questions which he himself calls "the stuff of mythology and religion." What made you think of his quote in relation to my work? The act of reviving recently extinct animals through technology is emblematic of the drama we live through. Artists have always been struggling with bringing dead material to life. Now, however, it's no longer in order to double a model, but to re-create what's lost. These days, the rapid advancements in technologies like virtual reality are expanding the capabilities and definition of conservation beyond the scope of monuments, statues or natural-history museums. Now, animals are being converted into digital, archival material at exponential rates. Lidar scanning, photogrammetry and data visualization are the modern tools of the trade that enable scientists to create relatively close replicas of their source materials. Organic worlds can now be nearly instantly copied, not just as static images and 3D models, but as entire simulations. When this happens, the boundaries between what is real and not, what is organic or technological, dissolve and produce something entirely new and different. Primal Tourism: Walk-through (2016) by Jakob Kudsk Steensen. We usually think about virtual places and digital media as a form of mediation, but I think we ought to think about it as a new way of thinking about our emotions, memories and senses. As evidenced by the Kaua'i 'o'o, virtual material may be one of the only ways future generations will experience the species and landscapes of past lifetimes. H. Douglas Pratt may have experienced the bird with his eyes and ears while I can only ever listen to the Kaua'i 'o'o as an MP3. But I can also remix it, convert it into something else that is mediated and transformed into something that does not follow the same biological rules of DNA and evolution. And with the increasing spatial and sensory developments of 3D software and hardware made within the past few years (as referenced by the above works), organic and virtual realities have started to rapidly interbreed. Pando Endo (2017) by Jakob Kudsk Steensen. 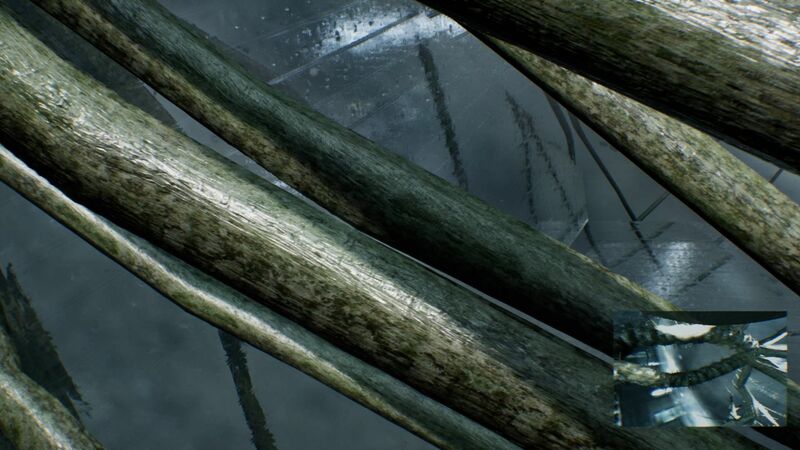 Real world photographs of Aspen tree roots, moss and bark are mixed together inside a virtual simulation that mimics vascular tissue transporting water in plants. Inside a headset, participants can "move" around the plant. Still from A Cartography of Fantasia (2015) by Jakob Kudsk Steensen. A rabbit overlooks its new habitat at the abandoned airport of Corvera, Murcia, Spain. As anthropologist Nils Bubandt and Anna Tsing assert in "Arts of Living on a Damaged Planet" (2017), we are living among ghosts of nature which haunt the present and influence the future. In the book, an international community of natural historians and anthropologists write about new ways of thinking about our relationships with ecosystems in the 21st century. "Our ghosts are the traces of more-than-human histories through which ecologies are made and unmade," they assert. How we take their role into consideration will influence imaginations of future landscapes, as well as how we perceive organic realities and construct new landscapes around us. Jakob Kudsk Steensen is a Danish NYC-based artist and art director, currently member of the NEW INC incubator by the New Museum. 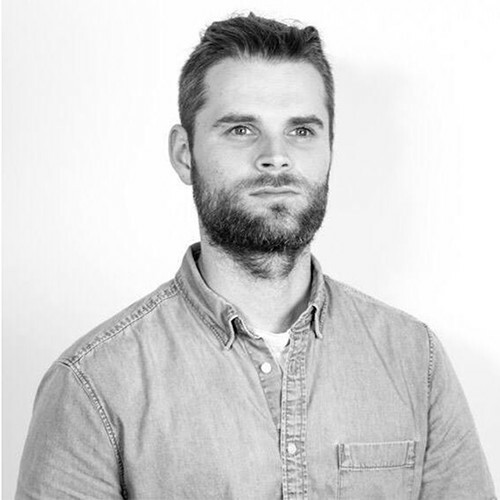 His work focuses on how imagination, technology and ecology intertwine. Steensen shows his work as VR, AR, installations, computer games and public installations. His work has received press in the New York Times, WIRED, Artnet, Artnews, Vice, The Art Newspaper, and more. His favorite animal is the dragon pipefish. Silica Mag is an online periodical investigating the interplay between the geographic, ecological, and technological phenomena of the modern world.